Check out my buddy Blair Willamson on the February 3rd episode of Scrubs (ABC) at 9:30 E.T. (Check local listings for times). John C. McGinley on the day of the Scrubs' shoot.To check out Blair's acting credits, click here. Thanks, Blair, for showing Hollywood, and us, that actors with special needs can play their own parts, and do it well. Kudos to Scrubs for giving this talented working actor the cool gig. 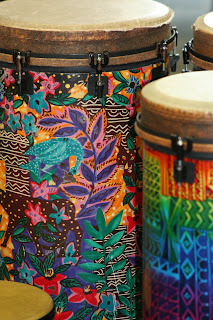 Photo courtesy of Gail Williamson, Heart & Halo Talent Division DSALA. Used with permission. In a New Year's post, I promised that in 2009, I would share top websites/blogs focused on all things special needs. My monthly highlights will include sites I believe best support families and professionals facing the daily challenges of special needs, in addition to my own, of course! 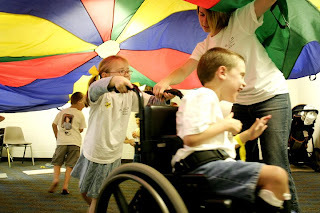 My first, well-deserved shout out of 2009 goes to Terri Mauro and her popular website/blog at specialchildren.about.com. Terri's no-nonsense, honest and humorous take on the challenges of special needs parenting is refreshing. She calls life as she sees and experiences it. The parent of two teens with special needs, she knows the territory well, and she's earned the right to share her hard-won wisdom. If you spend any time online, you're probably already familiar with About.com. 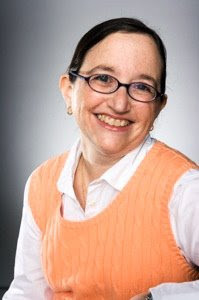 If you research special needs sites, my guess is you also probably already know Terri and have benefited from the wealth of information, resources and personal takes she shares daily, including through her blog. But just in case you haven't yet connected with this online special needs dynamo and advocate, allow me to introduce you briefly. In addition to her online gig, Terri is the author of The Everything Parent's Guide to Sensory Integration Disorder, with a new book out soon. In 1994, she two adopted two children from Russia with special needs: a now 18-year-old with language-based learning disabilities and 15-year old with Fetal Alcohol Spectrum Disorder. "Almost everything important I've learned about raising my kids has come, in one way or another, from fellow parents of children with special needs. We can be an amazing resource for each other. That pretty much sums up why I'm doing this, and what I hope to encourage other parents to do." Terri's valuable story and personal experiences with special needs parenting and adoption, give voice to a subject that receive far too little attention. Yet, the numbers of people in the United States who are becoming special needs families through international adoption, including due to hidden disabilities, is growing. Many people don't want to talk about the reality. Terri and I do. "After we adopted our kids in 1994, I was really lucky to find a community of parents online who had also adopted from Eastern Europe. On the one hand, I had people from the adoption agency saying, "Have they caught up yet?" and on the other, professionals like the neurologist who gave my daughter a brief exam and said, with disgust, 'This child has cerebral palsy. Why did you adopt her? 'I had teachers telling me all through the year that my daughter was flying and soaring, and then at IEP meetings that she had made no progress. My son had a documented history of prenatal alcohol exposure, but his neurologist said that since there was nothing to do for FAE, we shouldn't think about it. So to be able to communicate with a bunch of parents who were dealing with the same issues, who could recommend books and techniques, who could tell me what their kids were doing in school and what language issues they were seeing, was just transforming. Instead of going to a meeting and saying, 'Hey, I think my daughter should be mainstreamed,' I could bring in the results of a survey showing where children with her background and her same learning challenges were being placed in schools across the country. The degree to which the Internet -- from e-mail groups and forums to blogs and websites -- has empowered parents cannot be overstated, and I'm grateful to be able to participate in that." I'm honored and grateful that Terri recently reviewed my book Breakthrough Parenting for Children with Special Needs: Raising the Bar of Expectations, through her 'Harried Parent's Book Club Review' posts, granting me the coveted 5 stars! You can read that review here, along with an excerpt from BP about that unnerving subject of staring here. Full disclosure: I was going to make Terri my Jan 09 All Things Special Needs focus before that review even came my way. That said, I do believe that what goes around, comes around. In short, good Karma! Thanks, Terri, for all you do to create greater awareness of those with special needs, including for adoption and hidden disabilities. Keep up the terrific work. I'll be watching, along with all your other groupies. Photo and logo courtesy of Terri Mauro. Used with permission. All rights reserved. I'm happy to report that I'm again celebrating publication of one of my photos on this month's (February) Fine Tuning, the award-winning program guide for PBS affiliate WKAR-TV at Michigan State University. This shot, entitled Political Beauty, is of the dome on Michigan's capitol building and was chosen, in part, to coincide with Governor Jennifer M. Granholm's State of the State Address on February 3rd. I find it a perfect fit! -and the photo is much easier to enjoy than news about our state's economy. Thanks again, Jeanie Croope & WKAR-TV, for this incredible honor! For more about public television efforts, visit WKAR and PBS. Can't imagine a world without PBS and Big Bird!! A recent study by the Harvard Center for Risk Analysis estimates that 636,000 vehicular crashes, resulting in 2,600 deaths, 330,000 injuries and 12,000 serious injuries yearly, can be attributed to cell phone use while driving. The resulting financial toll? $43 billion annually. Those results have The National Safety Council pushing for a nationwide ban on all cell phone use while driving. Text messaging by young, inexperienced drivers is considered especially hazardous, and has resulted in a ban on cell phone use for young people in 17 states and the District of Columbia. Smart decision. Parents must talk with their teens about the dangers of cell phone use and texting while driving and remind them of the privilege and responsibility of navigating two tons of steel safely down the road- and model better driving habits themselves. These recent, sobering stats, along with those of the number of teens who die in car crashes needlessly each year, remind us that no conversation is worth courting disability, incarceration or death. Perhaps it's because I work in a field in which the sobering results of sudden, even life-long disability from car accidents are far too evident that I vote to hang up and drive. Or maybe it's just plain old common sense talking. Remember when driving used to be fun and safe? I vote for the return of automotive safety and civility. How about you? Read the entire NSC cell-ban news release here. Click here for tips on preventing Traumatic Brain Injuries (including from car accidents). 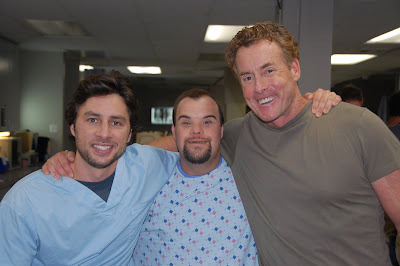 The two young actors with Down syndrome included in the episode entitled "Big Baby" and airing Monday, January 26th, are Matthew Von Der Ahe and Tim Borqueze. The boys, appear as students in a special education classroom and comfort their teacher after she collapses. DSALA expects the scene to be included. Check your local listings. Both actors were hired through the Down Syndrome Association of Los Angeles' "Heart & Halo Talent" a casting liaison service working with casting directors and productions across the US and Canada. Photo: Gail Williamson with actor/son, Blair. Used with permission. 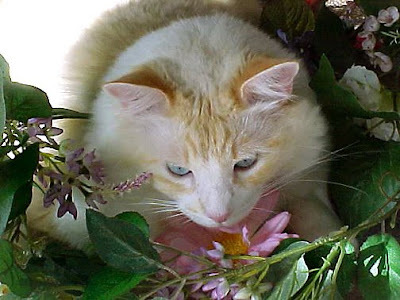 Whether you're a cat lover or not (I am), you gotta admit, this is one pretty feline, one of the prettiest I've ever seen. Kimba is one of a trio of kitties rescued by my twin sister in Los Angeles, and obviously well cared for and much loved. Would you believe this beauty is a he? One of my volunteer gigs this year is shooting photos of the animals up for adoption for the local Humane Society, while also spending as much time giving love to the cats and dogs as possible. It's something I've wanted to do for years and finally have time to pursue. Who knows how many furry friends I'll bring home... and yes, my husband is a bit worried. Please, remember to adopt animals at your local shelter!!! The need is great, especially with so many animals being surrendered because of the tough economy. It's also a great place to volunteer as a family. Each year, we welcome certified therapy dogs to RicStar's Camp, where they work their magic helping campers better handle stress and social challenges, including campers with autism. These dogs are remarkably accepting creatures. During this year of change, please show our furry buddies some love, too! It's good for their health, and yours. Love those Animal Cops, too! The words of CNN's Anderson Cooper, reporting from Washington, D.C., last night drove home the historical magnitude of this day for me when he reported that slaves helped build the White House. Today, that house becomes President Barack Obama's new digs, and we usher in a brand new era of hope and renewal for our wounded country, and its weary citizens. Today, we celebrate! The hard work of realizing needed change begins tomorrow with the dedicated actions and ownership of each one of us. Making history is no small feat. To read my take on this timeless holiday, click here. My stand remains pretty much the same. 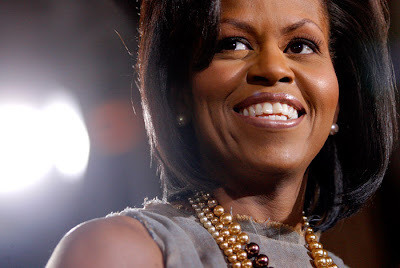 Michelle Obama & National Day of Service, Monday, Jan. 19th-Do Your Part! In addition to being Martin Luther King, Jr. Day, Monday, January 19th, is also the first National Day of Service. Soon-to-be First Lady, Michelle Obama, has put out the call for Americans to help "renew American together, one community at a time." As someone who believes strongly in the power of one individual to impact big change, and someone committed to on-going volunteerism, I urge you to do your part. It doesn't have to be something grand. 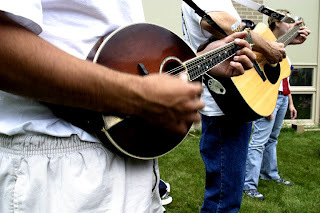 Give to your local food band, serve others in your local soup kitchen, take time for conversation with someone who is lonely or sick, mentor a child, deliver clothing and blankets to those in need, giving a smile first to a stranger, forgo the morning latte for a month and donate the money to charities in need. Call your mother. There are so many ways to positively impact your community and the lives of those around you. Please, do your part. It will take a village to turn this country around. Don't be one of those people who just spouts about how bad things are. Help change them. 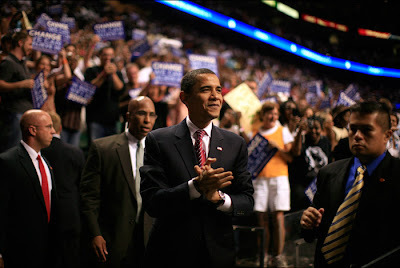 Watch Michelle Obama's call to action here. To find out more about the Renew America Together initiative and how to connect in your own community click here: usaservice.org. The Autism Society of America (ASA) estimates the lifetime cost of caring for a child with autism is $3.5 to $5 million. And that's just the financial cost. Click here to learn more about autism and the ASA. Are You Tired of the Winter Cold, Yet? This photo post is for all my buddies in the snow belt who are beginning to feel like they've taken up residence at the North Pole. Stifling summer heat and humidity, and pretty summer flowers, will return before we know it. Check it Out! 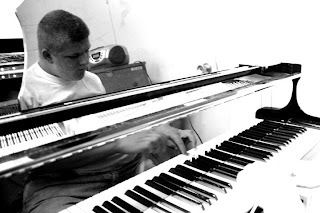 -Dates Announced for RicStar's Camp 2009! The 7th Annual Eric 'RicStar' Winter Music Therapy Camp, aka RicStar's Camp, will be held Thursday, June 11th thru Saturday, June 13th. Registration is now underway for returning campers. New camper registration will begin March 1st. Camp fees are: $165 per person; $300 for two campers/same family and $450 for three campers/same family. Scholarships and campus housing (fee) are available. Warning: Camp fills up fast, so don't delay. This popular camp, named in honor of my son, is part of the Michigan State University College of Music, Community Music School (MSU/CMS). Learn more about camp and my on-going commitment to it on my website. For more information, including downloading a 2009 camp application form, or to register, volunteer, sponsor a camper, or volunteer with our teen BuddyUp program, contact camp director, Cindy Edgerton at the MSU Community Music School. Camp Photos by Jenna Winter 2006 with exception of first one of Eric Winter. Happy 35th Birthday VSA Arts!! VSA Arts is an international non profit focused on creating great opportunities for people with disabilities to become involved in the arts. This is not the first time I've given a shout out to this terrific organization founded in 1974 by Jean Kennedy Smith. VSA Arts has been "creating a society where all people learn through, participate in, and enjoy the arts," for thirty-five years! Here's to another 35+ VSA ARTS, and thanks for the invaluable opportunities you provide for so many with special needs. My creative (and special needs advocacy) soul loves VSA Arts, and its beautiful, inspiring calendars! Kudos to Mitch Albom for the terrific piece The Courage of Detroit featured in the current Sports Illustrated. It's a beautiful work that captures well what so many Detroiters and fellow Michiganians (or Michiganders) feel about their Motor City and state. Click above to read the piece that actually brought me to tears. That's great writing. And thanks for filming Grand Torino in Detroit, Clint Eastwood. Don't count this great city/state out, yet. All Photos Judy Winter 2008. Thanks to my good pal, Jeanie Croope at the Marmalade Gypsy (one of the few blogs I do visit often for creative inspiration and a break from special needs) for recognizing my blog with this Marie Antoinette Award. Jeanie wrote: "Hey, Ms. W., "Winter Ramblings" has received an award on the Marmelade Gypsy for its inspiration! Cheers, my friend and thanks for the wonderful words and images you share." It's my pleasure. Now the tough part is being asked to now recognize other blogs worthy of this award. Since I don't have time to visit many, I instead offer a mix of blogs/websites that I value in my own work and believe may help your in yours. As usual, I'm not following the rules as stated! -Alan Rinzler.com (website & blog): my editor at Jossey Bass. Insider info from one of the best in the business!! -parisparfait.typepad.com (an American writer living in Paris). A newly discovered delight! -John Schneider: www.lsj.com/schneiderblog (also check out John's daily columns at lsj.com). Terrific columnist, especially when he writes about his mom! -writersdigest.com (links to good writing blogs). More great good insider tips! -SpecialOlympics.org. Anyone who reads my blog knows I LOVE SO! -The Christopher and Dana Reeve Foundation: christopherreeve.org & paralysis.org. Like SO, a special needs giant! -The White House Project: thewhitehouseproject.org: helping me become more politically savvy with each workshop, especially valuable in my work and in these trying times! There are many more, and so little time. Thanks for the shout out, JC! One of the greatest topics up for debate these days is that of the role vaccines may or may not play in autism spectrum disorders (ASD). Pediatrics.org offers balanced, insightful words of debate on this very subject, including from bestselling author, Dr. Robert Sears. When it comes to this complex and emotional subject, there are no easy answers. It pays to educate yourself. 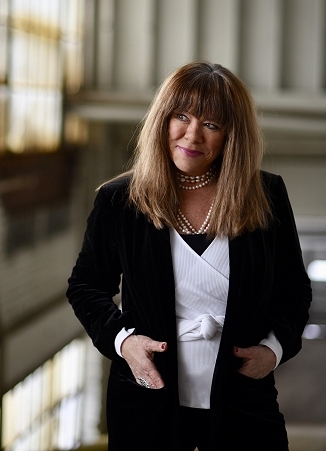 Along with several other on-going projects (including work on my next book on special needs), this year's increasingly diverse commitments will again include writing monthly columns for Capital Area Women's Lifestyle Magazine. You can find my 2008 columns addressing special needs by clicking on the above link. The 2009 columns will offer more general slice-of-life observations and my photography. As new columns see print, I will offer up the previous month's work on this blog so you don't have to go searching for them. I believe strongly that successfully meeting the challenges of special needs requires some balance in your life, not focusing solely on special needs 24/7. There are, however, several sites that do all-things special needs very well, and I'll be recognizing them here in the coming months. In the meantime, I'll continue to work hard to provide you with some needed life balance on this blog, providing you with brief escape from your tremendous daily parenting challenges, complete with some life-saving humor, as well as continuing to provide valuable special needs info, too. Remember to send me your success stories, Faces of Ability!, and topics you want addressed, too. That said, here's my first CAWLM column for 2009 regarding that pesky word 'resolutions'. Enjoy! As I write these words, the world outside my office window is draped in sparkling, pristine snow— it’s pure and untouched, waiting for the first imprint to forever change it’s look, texture and scope. This magnificent seasonal event, courtesy of Mother Nature, makes us again believe in the world’s beauty and infinite possibilities. At moments like these, all things are fresh and new. Our fragile world appears at peace. We can give ourselves permission to wipe human landscapes clean and start fresh, too. The New Year offers rare opportunities to examine our lives more closely, discard what’s not working, and realize bigger dreams. January is our gentle life snowstorm, filled with shiny new possibilities. Forget about New Year’s resolutions, words that set us up for failure. I prefer the words, ‘eagerly seeking new adventures.’ It sounds enticing and fun— even a bit naughty. Recently, I had breakfast with a terrific mom, who like many of us, is juggling too many balls and in danger of dropping them all. Intent on making other’s dreams come true, she’s losing site of her own. She’s exhausted from the never-ending demands of special needs parenting. Like many women, she’s been trying to do it all—and discovered she’s only human. Perhaps the greatest gift we offer others in 2009 is to slow down the frantic pace of our lives. Take time again to dream big, to grieve, to laugh and cry and volunteer, and to become better examples for our children. Our actions tell kids more than tough words ever will. We should put our own oxygen masks on first. The possibilities for New Year adventures are endlessly exciting—just waiting for you and me to make our first bold mark. How will you imprint the landscape of your life? My 2009 fantasy (key word) list includes: riding the Maui Zipline, savoring Italy and India (if only through PBS's new series), taking my photography to a new level, penning my next book, mentoring a child, lots of yoga and deep breathing, more play time with my daughter, husband and grandoggies, and indulging in yummy new fudge flavors, after biking more often on that magical island called Mackinac. Life isn’t a sprint. It can be a marvelous adventure, beginning right now. Looking for some New Year's parenting motivation and inspiration? Look no further than Micah Fialka-Feldman, a terrific young man who refuses to let cognitive challenges get in the way of his dreams, including those of attending college. There's no way in this short post that I can highlight everything Micah has accomplished in twenty-two short years of life. But here's enough to let you know why I've chosen him as my first Faces of Ability for January 2009. You can find out more at Micah's website. 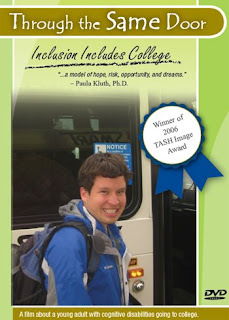 According to information on his website, Micah Fialka-Feldman, thrived in inclusive education from elementary through his high school years, supported by the general and special education staff, including paraprofessionals, peer tutors (LINKS), a Circle of Friends, and with creative modifications and accommodations in classes. Micah excels in the use of computers. Among his many high school accomplishments, Micah received a Varsity Letter in Cross Country/Track and was a member of the Homecoming Court. 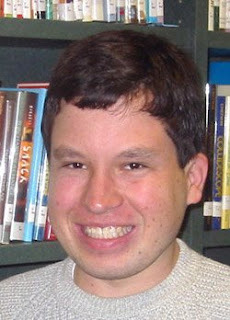 In 2004 Micah received the Michigan CEC “Yes, I Can” award for self-advocacy and was invited to be part of the National Youth Leadership Forum in 2002. Micah calls himself a proud National Board Member of Kids As Self Advocates (KASA) (www.fvkasa.org). He's a national speaker on inclusion and inclusive post secondary experiences, and has provided keynote addresses for several educational conferences including in Tennessee, Iowa and Michigan. Since 2003, Micah has been a student at Oakland University in Rochester, Michigan, where he sits in on classes and has joined several student organizations. His college experiences have been documented in a popular film entitled: Through the Same Door: Inclusion Includes College, which has received the 2006 TASH Image Award.Here's part of what Micah has to say about his dream to attend college, just like everybody else. Click here to read the complete piece and more of Micah's Writings. "I wanted to go to college and my dream came true. Here’s what happened. I always wanted to be with my friends. When I was in first grade I was in a special classroom. It was okay but I wanted to be with my friends, so I told my mom and dad that I wanted to go into the same door at school that all the other kids were going in. They helped me do that. Then, when I got older, I started thinking about what college I wanted to go to. My friends wanted to go to college and I wanted to do the same thing. Since I was little I’ve been going to the University of Michigan football games with my Papa. I learned about college from going to the games and seeing the kids have a good time. They looked happy. I have always been included in regular classes so I wanted to stay in regular classes after high school. When I was in sixth grade I had a MAP (Making Action Plans). My friends, teachers, and parents helped me think about my dreams for my future. One of my friends said that I would go to college. I liked hearing that because that was my dream. I want to work in politics, maybe in government or at our state capital. I also like current events and I like to do public speaking at conferences, universities, and other places. I tell people about inclusion, disability rights and self advocacy. I can learn about these things in college and be with my peers. Congratulations and thanks, Micah, for showing us all that you can do! Above photos/DVD cover, writings, used with permission. 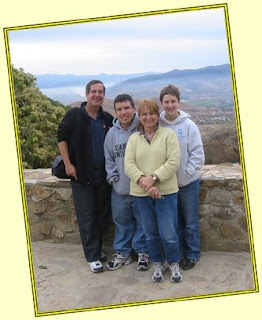 Photo at top is Micah with his family, Rich Feldman, sister Emma Fialka-Feldman and his mom, Janice Fialka, MSW, ACSW, author of The Dance of Partnership. 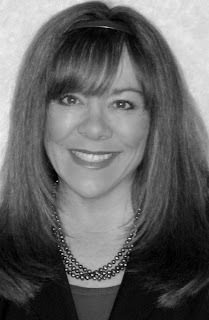 You can find our more about Janice Fialka's important work to create better special needs partnerships between families and professionals at Dance of Partnership. People magazine has a long history of including special needs coverage in its popular weekly publication and online. That includes this week's balanced and sensitive cover story on the loss of the Travolta's son, Jett. Read it here: People. In the same issue, there is a great article about television stars Boris Kodjoe and Nicole Ari Parker and their daughter Sophie who has spina bifida, a diagnosis which occurs when a baby's spine fails to close in the early months of pregnancy, leading to nerve/muscle damage and impacting one in seven live births in the U.S. each year. (Source: Spina Bifida Assocation). The couple recently created Sophie's Voice Foundation to help create greater awareness of this disability. You can read the People article at this website, too. Click here to learn more about the Spina Bifida Association. Kudos to People magazine for its on-going commitment to positive special-needs coverage. (Photos: Two of the many cute kids attending last summer's East Lansing Folk Festival). Words DO hurt...Please take a moment to add your support to this important campaign, and check out the new Special Olympics website design! The on-going, casual use of the R-word to put down others or laugh at their expense, especially by young people and Hollywood, continues to fuel outdated, limiting and painful stereotypes that negatively impact millions of people with intellectual and other disabilities. As in 2008, I will continue to run this post monthly in 2009. Our word choices do matter, especially during this year of important CHANGE. Don't just talk about needed change. Be part of the solutions. Think dignity, equality and opportunities for all. Yes, Virginia, There Really is a Sun! There is! I saw it with my own eyes today and quickly grabbed my camera to get proof (the toes-in-the-sand photo is just my way of playing with you!). I am so over being pale and cold. Welcome back, old friend. You've been missed. TMZ has reported that John Travolta and Kelly Preston's son, Jett, died today in the Bahamas after reportedly suffering a seizure and hitting his head. An autopsy is planned. Many have long speculated that Jett had autism, but John Travolata has said that his 16-year-old son had Kawasaki Disease, otherwise know as Kawasaki syndrome. According to Kids Health, Kawasaki disease is an illness that involves the skin, mouth, and lymph nodes. It usually affects kids under age 5 and its cause is unknown. Left untreated, it can lead to serious complications, including those involving the heart. My heartfelt and deepest sympathies and prayers go out to the Travolta family. I know the difficult grief road they must now travel. Six years after my own son's death, the reality still cuts deeply. This is life's cruelest loss, and while parents can learn to again live joyfully, you never fully get over the death of your baby, no matter how old they were when they left you. You can share written support through John Travolta's official website. I know just how much such supportive words can mean. As this brand new New Year gets underway, I'm reminded of how grateful I am to be entering it with a posse of great friends who enrich my life and support me and my work in so many priceless ways. Then, there are my granddoggies! How Does a Man with Cerebral Palsy Goes Unnoticed on a School Bus? Perhaps it's because I put my son on a school bus for those with special needs for several years and trusted that he would return home to me safely each day. But I'm hard pressed to find an answer or excuse good enough to explain how a New York bus driver/caretaker could possibly leave a 22-year-old passenger with cerebral palsy and wheelchair on a school bus in sub-zero weather. But that's what apparently happened to Edwin Rivera of Manhattan, who has cerebral palsy and lacks speech. Rivera spent 19 hours on an unheated bus in Brooklyn after he was left alone. Rivera was found after being reported missing by family, and is expected to survive the ordeal. There has been an arrest in the case, but big questions remain. At the very least, it should be mandatory for all drivers to do a complete walk through of buses before they are left for the day. Adults in wheelchairs are tough to miss. I can't imagine what this experience must have been like for this young man dependent upon others for his mobility, safety and voice. My heartfelt best wishes go out to Edwin and his family. I would have been beside myself and loudly demanding answers had this happened to my son. I can't imagine an excuse good enough to explain this inhumane event. People often question why parents of children with special needs are so protective and ever vigilant. Here's one glaring example why. Fact of Fiction? PEOPLE to Pay Big Bucks for Palin Grandbaby Pix? Is PEOPLE magazine really ready to cough up $30,000 for the first photos of Sarah Palin's grandbaby, Tripp? If so, I have just one big juicy question, WHY? Bad enough they find the story newsworthy. Here's a better editorial idea, People. Why not put Baby Trig on the cover as part of one big, valuable feature about kids with special needs and their hard-working parents from across the country, and then give big bucks to the agencies struggling to help such families meet their tremendous parenting responsibilities (or to those trying to prevent teen pregnancy and child abuse). Now that's a decision, I could support. Being a parent is the toughest, most sacred responsibility anyone can ever undertake Making a baby is clearly the easy part. We need to stop glamorizing teen pregnancy in the media. This is the year of big CHANGE, after all. Let's get real about parenting and teen pregnancy, shall we? Consider this my first official ramble of 2009. The photo above is not that of Baby Trig or Tripp. 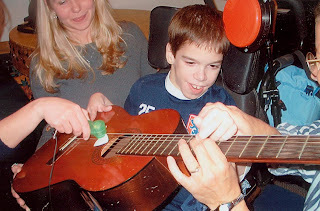 That's my baby boy Eric, who did appear in Parents magazine years ago as part of a photo essay of kids with special needs. And no, we weren't paid for our effort to create greater awareness of this important population. Not every decision should be about money and ratings, especially when it comes to children. I sure could use a dose of basking in the sun right about now to rid myself of the winter chill. How about you?